Kids & Families Together Executive Director, David Friedlander was Interviewed by Lyn Fairly on News Talk 1520 KVTA on September 1 after his recent feature as one of the The Faces of Ventura; a community tribute by local artist Joanna Spinks. 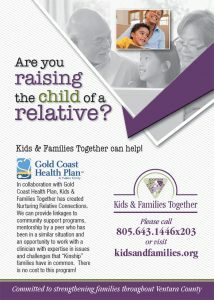 Listen in as David talks about Kids & Families Together and the programs and services they provide to our community. He also shares his experience sitting for his portrait painting with Joanna Spinks, and relives a handful of amazing adventures from his life.